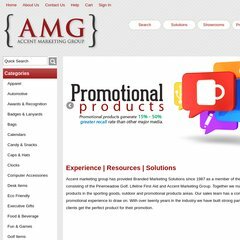 Topics: Solutions, and Accent Marketing Group. On average 20.00 pages are viewed each, by the estimated 5 daily visitors. The programming language environment is Phusion Passenger (mod_rails/mod_rack) 3.0.11. Its 3 nameservers are dns3.easystreet.com, dns1.easystreet.com, and dns2.easystreet.com. American Registry For Internet Numbers (Virginia, Chantilly) is the location of the Apache server.